This article details how Leaping Butterfly Ministry volunteers are offering TS Help, support for the Turner syndrome community. 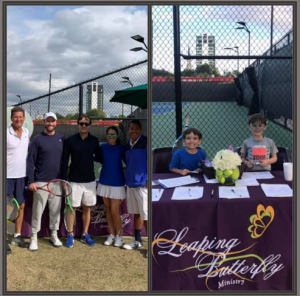 One of the most amazing events to witness has been to watch Leaping Butterfly Ministry’s volunteers catch the passion for support for the Turner syndrome community. The biggest challenge for me six years ago was to share the vision I believe God gave for this ministry. It took a great amount of time sharing the immediate needs those with TS face every day. Like any good salesperson would tell you … it often takes seven times telling the story for others to finally share the same vision. But, the hard work is now paying off. Third-party fundraising has become popular in not only raising funds in new and creative ways; but it has also been a great opportunity to make many aware of who we are, what we do and how we offer TS Help. Even if event participants are not personally touched with TS, they will leave the event with a deeper care for those who do. 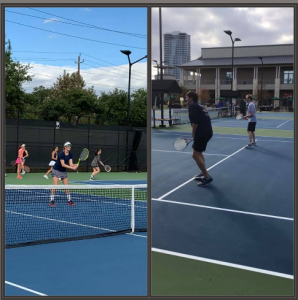 John and Ashley Pope hosted this tennis drill clinic on November 17, 2018, the first event for those who enjoy the game of tennis. 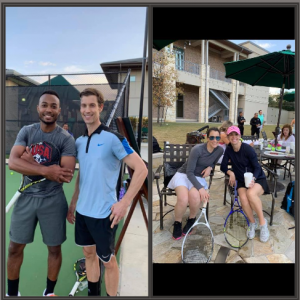 The Serve It Up with Love fundraiser attracted those within their country club to have a fun day with friends, tennis pros, fun drills, food and beverages, and silent auction items. The event overall gross amount was $4,831.00 with net profits of $2,723.00. This net amount will assist LBM with our designated programs, which continue to be used to bring awareness and support to the entire TS community. Not only were the attendees pleased with the well-planned event, there were two unexpected surprises during and after the event. “I think I speak for all of us when I say, it was our pleasure. I want to personally thank you for the opportunity to become a better person in learning more about Turner syndrome. You guys have a lot of love and are passionate about this and you can tell. I am proud to have been a part of it. I’m so glad it was so successful and hope and pray for your continued success in creating awareness. Your efforts are certainly making a difference.” Blessings, M.
However, the most amazing happening was to have a club employee, who was diagnosed with Turner syndrome at the age of 4, share her new-found passion for becoming a future volunteer for Leaping Butterfly Ministry. 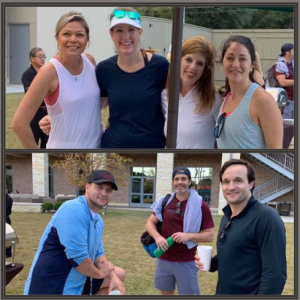 Here’s what she had to say: “Hi, I am an employee of your club and a tennis pro told me about your Turner syndrome fundraiser that took place this past weekend. When I first learned the news, my heart leaped, and the news told me I must reach out to you. I was 4 when I was diagnosed. I would love to grab coffee or lunch to learn more! … especially how I can be part/involved in the fundraiser gala taking place in February. I would love to be a part of it and have been looking for an organization to join that does fundraisers to raise awareness for Turner syndrome for a long time. And yes, please add me to the email list I would very much appreciate it. This event to me is a blessing … to find out there is an organization like this to raise awareness.” Bless you, G.
Thank You Serve It Up with Love Supporters for offering TS Help! Special thanks to all of the clinic’s attendees, participants, Briar Club pros and exhibition pros.